I’m not big on rules, as you’ll discover from my Rule #1. Writing a book isn’t about following a set of strict how-to’s. That’s copying, not creativity. Writing a book isn’t about following a formula. That’s imitation, not innovation. Writing a book isn’t about doing what other authors have already done. That’s trailing after someone else, not blazing your own path. That’s not to say that you can’t learn from other writers’ experiences. Of course you can. There is always a lesson in all the bad experiences in life that one faces. Some manage to get over it and others adapt those bad experiences into their writings for others so as to not come across the same situation. That’s why it’s so important to read other writers’ books, to read about other writers’ lives, to learn about other writers’ creative processes. Not to imitate them but to use the most natural learning tool of all: osmosis. So why have I set out 20 Rules For Birthing Your Book here? 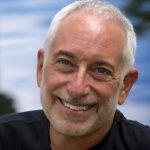 Not to tell you how to write your book but to offer you solid guidelines from my nearly three decades of writing, teaching and coaching that will empower you to find your own way on this life-altering adventure that is birthing a book…and to help make your journey simpler, smoother and easier than it might otherwise be. Whatever it’s about, this is your book you’re birthing, a book that is the singular creation of your unique heart and art. No one else can bring your vision and perspective to your story or subject. No one else can bring your experience and insight to it. No one else can weave your magic through it. That’s why its yours! That’s why no one else can write it the way you will write it, which also means that no preexisting rules can ever govern the writing of it! If you maintain any sort of spiritual atmosphere or meditation practice, you know how important Rule #2 is. Just about every spiritual teaching emphasizes it as one of the cornerstones of an aware and awakened life. Why would your creative life ask anything different of you? It wouldn’t! What does “being in the moment” mean in practical, book-birthing terms? It means focusing on the word you’re writing, in each moment, not judging the word you have just written, not stressing about which word is going to come next. It also means not fretting about how you’re going to finish this sentence or paragraph or chapter…or even this book. I know you don’t believe me. I know you’re asking, “How can I start my book if I don’t know what it’s about?” I’m saying I know you can because I’ve done it. With three of my books, I didn’t even know I was starting a book when I began writing them. I sure didn’t know what they were about or how they were going to end. I know that many books, teachers and writing courses require you to know what your book is about before you begin. They may even insist that you produce a detailed outline before writing a single word. There’s nothing wrong with knowing what your book’s about, and there’s nothing wrong with an outline. All I’m saying is that neither is required. So how do you start? You just start. All you have to do is write one word, then another, then another…all the way to the end. If you trust that your book is smarter than you are (see Rule #8), it will show you the way. Do you want to know whether you have a book in you? Then take our Do You Have A Book In You QUIZ to get just the right answer. The Muse Stream is the foundation for all I teach about writing. It’s the foundation for easy, effortless, natural and spontaneous writing, and it couldn’t be simpler. All you have to do is to write without stopping, judging, censoring, second-guessing or thinking. When you follow your heart and lose your mind—and writing on the Muse Stream helps you do that—you free yourself from fear, worry and anxiety. You silence your second-guessing inner critic and you connect with the essence of your book. When you follow your heart and lose your mind, you are never derivative, conventional or trite. When you follow your heart and lose your mind, you are creative, innovative and original. When you follow your heart and lose your mind, you write the book only you can write in the way that only you can write it. Remember Rule #1? “You’ve got to go out on a limb,” humorist Will Rogers once said, “because that’s where the fruit is.” The fruit is the theme, approach or content that is unique to you, the literary place where no other writer, to borrow from Star Trek, has dared go. The fruit is the “creative” in your creative expression. So take a risk: Push yourself out of your comfort zone so you can push your readers out of theirs. Listen to Will Rogers and go out on a limb with your writing and with your book. The more you open your heart to yourself in your writing, the more you will open it to your readers. And the more vulnerable you allow yourself to be with your readers, the more you will touch them with the universality of your experience and the more you will keep them turning the pages of your book. Being vulnerable isn’t about self-indulgently puking your guts out onto the page. It’s about being honest. It’s about not hiding. It’s about committing to withholding nothing of who you are that might be relevant to your book. As writers (and human beings) we like to think we’re in charge. We like to feel as though we’re in control. Creativity has nothing to do with control or with being in charge. Creativity—and remember that all books require at least some degree of creativity—is about trusting a process that defies all conventional logic. I like to joke that my books are smarter than I am, but it’s not really a joke. When we write from the deepest inner places we can access, when we write from our hearts not our minds (Rule #5), when we write intuitively (which is what writing on the Muse Stream is really about), when we let go all expectations and preconceptions regarding content, form and structure, we open ourselves to a wisdom that transcends our conscious imagining. Let your book be the boss of you in this book-birthing enterprise you are undertaking. Approach it with an open heart and an open mind. Don’t force your will onto it. Talk to it. Sit in the silence with it. Listen to it. Follow its lead. Let it have its way with you. If you do, it will write itself for you. The “trickster” exists in many cultures. In myth, think leprechauns (Ireland). In literature, think A Midsummer Night’s Dream’s Puck. In popular culture think Bugs Bunny. In short, it’s an archetypal mischief-maker that dupes its victims into doing its bidding. Your book is also a trickster. What do I mean? As you craft the book you think you’re writing, it will often trick you into writing something you never expected to write, something you never thought you wanted to write, something, perhaps, that is uncomfortable for you to write. Three of my novels and and one of memoirs took off in radically different directions than the ones I envisioned for them. Better directions. Not always comfortable directions. Directions I could never have consciously imagined or outlined. Directions that produce more powerful, compelling books than I could have consciously crafted. Remember Rule #8? Your book is smarter than you are and it will always take you to the place where its ideal expression resides…if you get out of the way and let it. Creation is messy work. It’s the Godlike feat of shaping words and worlds out of a formless void. And if Genesis makes throwing together a finished world in six days look easy, it’s probably because it edited out the frenzied bits! If your book is truly smarter than you are, can you trust it to reveal itself to you in a nonlinear fashion? In other words, can you write it as it comes, even if it doesn’t show up in order? If the first draft of my first book was written in plot sequence, few of my other books—fiction and nonfiction alike—have revealed themselves to me anywhere near that logically. Sometimes, writing a chapter, scene or segment out of sequence—intentionally or not—can reveal to you aspects of your book’s theme, premise or, in fiction, characters that you might otherwise have overlooked or have taken longer to discover. Sometimes, too, postponing a challenging part of your book can help keep you writing when you hit a roadblock. Follow the Muse Stream where it takes you and don’t second-guess the greater wisdom of your book! Your book may be excellent, accomplished, creative and insightful. It may be brilliant, compelling and universally lauded. But perfect? Not possible. Aim to make your book the best you can possibly make it. Give it all the love, attention and revisions it needs so that it can represent you to the world at the height of your craft. But don’t waste your time and energy trying to make it perfect. Doing that will doom you and your book to a never-ending cycle of fixing and fiddling that could well leave it forever unpublished. It’s easy to judge, critique, censure or dismiss your book. Too easy. As author (and, perhaps, publisher), you need subtler skills and more refined tools as you conceive, create and release your book. You need discernment. Discernment is a marriage of intuition and intellect, a blend of right- and left-brain, a meld of heart and mind, a whole-body approach to writing and to life. It’s the voice of inner knowing. Practice listening to that voice. Practice trusting that voice. Practice writing your book in the zone of no-absolutes, that infinite realm between the certainties of black and white, which is the only realm where creation and innovation can thrive and grow. A good idea for a book isn’t always the right idea for your book. Don’t write the book you think you should write. Don’t write the book everyone tells you to write. Write the book you know can’t not write. Write the book no one else can write. Write the book about which your instincts feel right. A right idea is not necessarily right for all time, nor is a wrong one always wrong for all time. Part of being in the moment (Rule #2) is about respecting your book’s timing. Use your discernment (Rule #13) to determine not only what to write but when to write it…and when not to write it. Or whether you have gained all you needed from the experience and can let it go to free yourself to write what’s right. For you. Now. Before you argue that I’m out of touch with reality, hear me out… The manuscripts that agents and publishers are looking for right now won’t be the same ones they will be fighting over by the time you finish your book in six months, 12 months, 18 months or two years. Markets are volatile. Agents are fickle. Publishers are capricious. Today’s trends rarely resemble tomorrow’s. There’s only one exception: if you have insider access to a breaking news story and can whip out a polished manuscript in a few days, go for it. Otherwise, write the book you feel called to write right now, and trust it to find its right home in its right time. If this seems the most obvious of my rules, it isn’t. It’s easy to procrastinate and succumb to distractions. It’s easy to put writing aside in favor of research. It’s even easier to spend all your time trying to figure out what your book is all about. Don’t wait for the perfect moment that will never come. Don’t wait until you have one, two or five free hours. Don’t wait for the perfect book idea or the perfect opening sentence. Don’t wait for your kids to grow up. Don’t wait for your retirement. Now is the best time to write your book. So start writing! We’ve got some additional tips on How To Write A Book to motivate you to start off with writing what you want to and let the world know your story! It’s human nature to set overambitious goals. It’s also what we’re taught in school and what we’re encouraged to do by most writing coaches, books, seminars and workshops. Unfortunately, it’s also human nature to judge ourselves harshly when we don’t achieve those goals. That’s why my approach to goal-setting is radically different. I say give yourself ridiculously easy goals and meet them, easily. If that means committing to 50 words per writing session, that’s okay. Set your goal and meet it (or exceed it). Then build on that success by gradually increasing your goal…and continuing to meet each new one. That way, you set yourself up for success, not failure. That way, you not only start your book but finish it! What does commitment mean to an author? It means making your book a priority in your life. It means not letting fear, excuses or distractions divert you from listening for the voice of your Muse and surrendering to the call to write. It means letting the ideas of your heart find expression through your mind and onto the page. It means trusting that your book knows the way and trusting it to guide you from first page to last and first draft to last. It means honoring your passion and respecting yourself as the writer you are. It’s been a long time since Rule #1, so it’s time to remind you that no matter what you’re writing, the only certainties are that flow is fluid, that your creation is unique and that your book makes its own rules. Truly, there is no universal right way or wrong way. There is only your way, the way of your book. So if you haven’t started yet, it’s time to revisit Rule #17 and get going! Whether you’re writing fiction or nonfiction, whatever your subject, theme or genre, this is your book, your creation, your unique take on your world—be it a real world or an imaginary one. How can it be truly yours if you are mimicking others in the hopes of also mimicking their success? 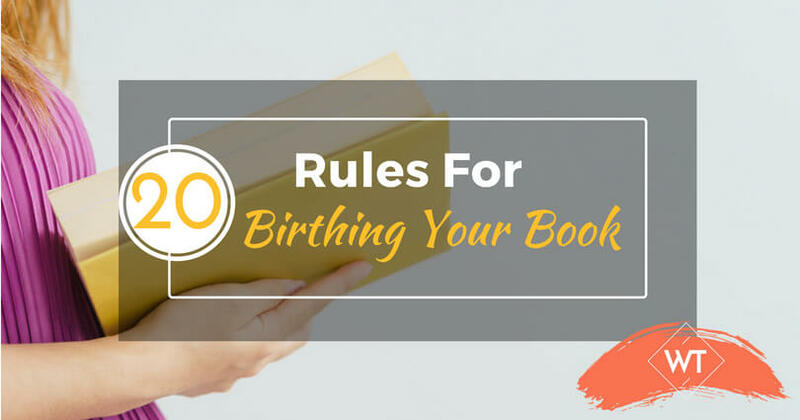 Wisdom Times hope these 20 rules for birthing your book also gives you ideas for birthing new thoughts that can be put onto pages and take you towards the path of success.